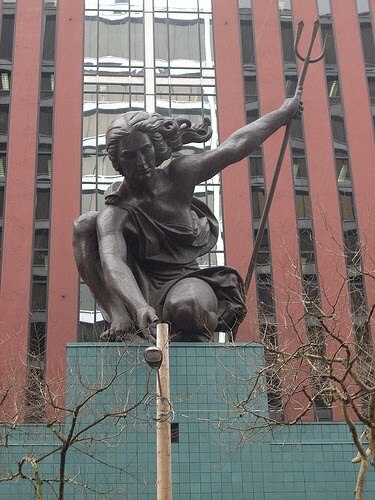 A second example of monumental Copper Repousse sculpture is Portlandia by Raymond Kaskey, which was installed in 1985 in downtown Portland, Oregon. 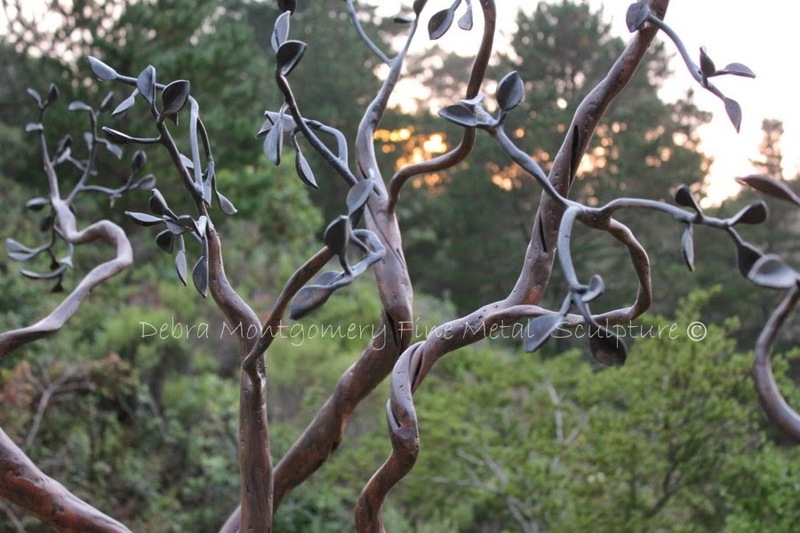 This sculpture is said to be the second largest Copper Repousse sculpture in the United States. 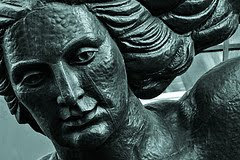 Again, in the close up image below, you can see what appear to be seams in the construction of this sculpture. 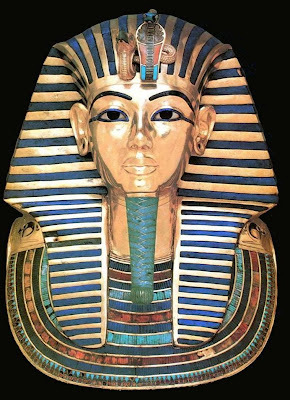 Another example, one from antiquity, is the late Eighteenth Dynasty mummy mask of the King Tutankhamun. The Lapis Lazuli and other stones were inlaid in chased areas after the height of the form was completed. 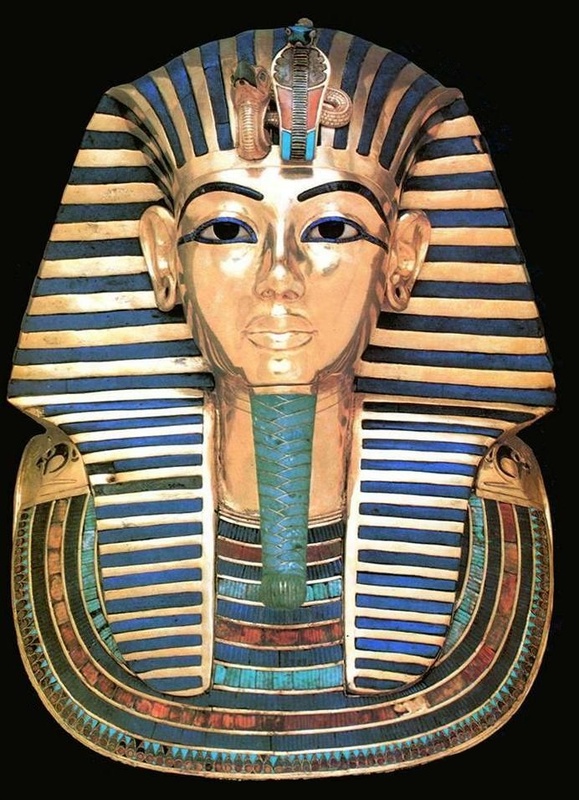 The majority of the mask was formed using the technique of Repousse using what appears to be a single sheet of gold. Though the ceremonial beard, Nekhbet Vulture and Uraeus were attached separately.